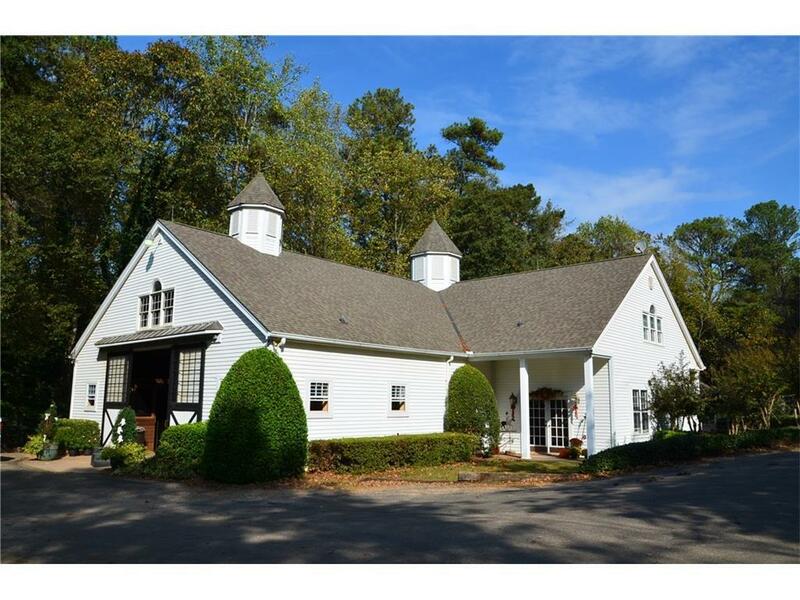 Premier equestrian training facility on 25+ acres in the heart of Milton! Suited for serious equestrian business or residential development. Training facility offers beautiful 10 stall barn w/ 2 bd/2 bath apt, lounge/tack/feed rooms, 6 stall barn w/ tack rm, 90'X120' covered riding arena, 120'X150' outdoor jump arena, trails, 8 generous fenced pastures, 5 run in sheds. Two large outbuildings for hay/shavings/equipment storage. 1987 brick ranch home overlooking picturesque lake. Desirable location for high end equestrian income or personal farm. Excellent schools. Directions: **appointment Only With Listing Agent** Bethany Way Between Hopewell Road And Haygood Road. Pleasant Hill Farm. No Real Estate Sign.